All eyes were on GOP frontrunner Donald Trump Wednesday during CNN’s Republican presidential debate at the Ronald Reagan Presidential Library in Simi Valley, California. While the onstage sparring had everyone glued to their TV sets, some of the best action actually took place off-camera. Even before the first debate began, one thing that viewers at home didn’t get to see, were the hundreds of anti-Trump protesters outside the library entrance. 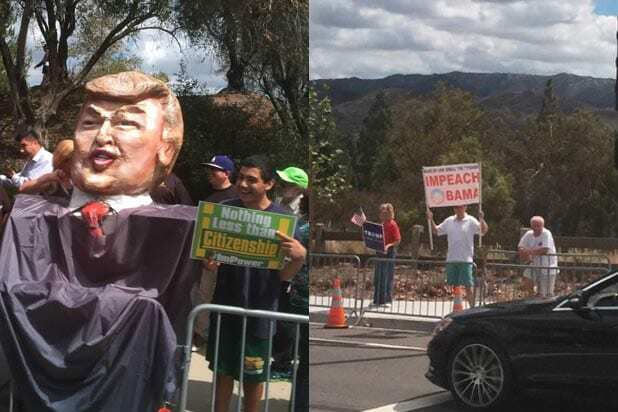 TheWrap also spotted at least four Trump piñatas, as well as dozens of signs calling the GOP frontrunner a “racist.” To be fair, there were some Trump supporters across the street. We counted at least three. 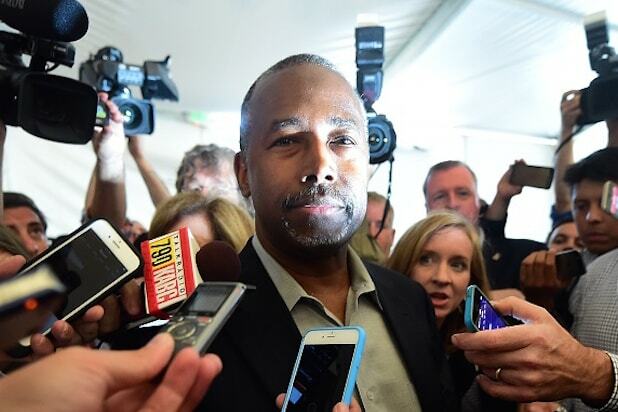 Ben Carson scored some major points with the press corps, greeting reporters at the media tent before hitting the stage. The retired neurosurgeon said he was not planning on attacking Trump, focusing instead on being himself. Asked why he thought he was surging in the polls, the presidential candidate said it was because people are paying attention to what he’s saying, instead of listening to pundits. And yes, he’s just as soft spoken in person. 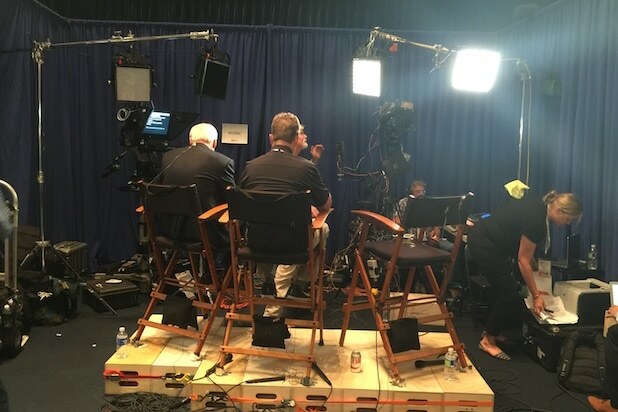 Following their debate performance, the lower-tier candidates made their way to the “Spin Room,” where TV and radio networks were camped out. Each of the presidential hopefuls was swarmed by dozens of reporters and photographers looking to get a post-debate scoop. 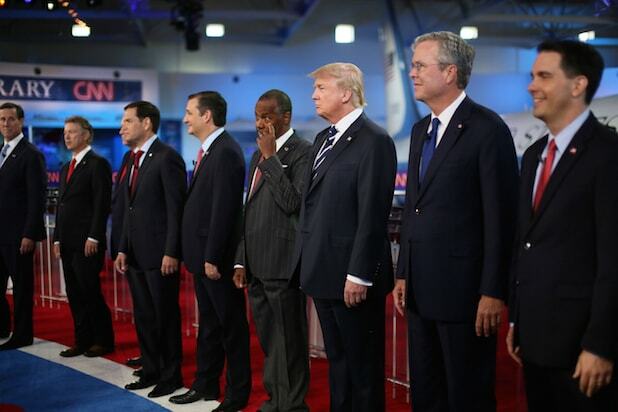 We were curious to know how the candidates rated their own debate performance. It takes a village to cover a presidential debate. 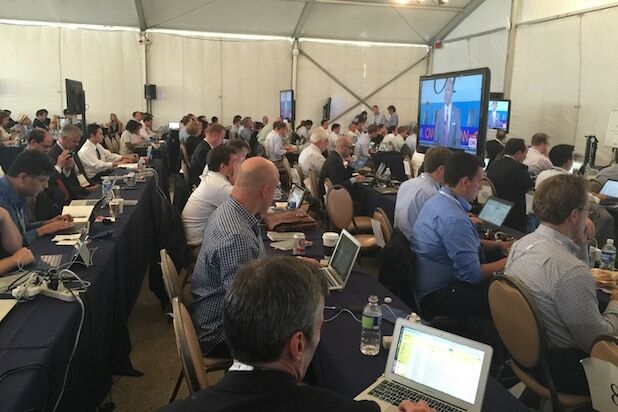 Hundreds of reporters from all over the world could be seen furiously typing on laptops with their eyes glued to dozens of flat screen TVs. A whopping 24 million people tuned into Fox’s GOP debate in Ohio last month, making it the highest-rated primary debate in television history. 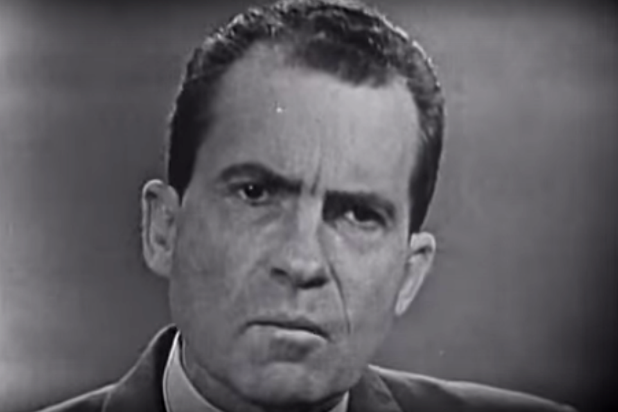 So, it stands to reason that a lot of journalists RSVP’d for the CNN debate. So many, in fact, that some were forced to cover the event while sitting on the stairs leading into the press area. Expect a hilarious GOP debate video from the people at “Funny or Die.” We can’t tell you when, or even what it’s about, but a camera crew belonging to the site could be seen trolling the “Spin Room,” at one point interviewing NBC correspondent Peter Alexander. It’s always interesting to see who gets the biggest laugh from reporters during a debate. That honor goes to GOP frontrunner Donald Trump. Trump had the entire room cheering and hollering.